Current and former public employees rallied in support of the Iowa Public Employee Retirement System (IPERS) at the Iowa State Capitol on Monday. The speakers expressed fear that Republicans may attempt to move IPERS, the defined benefit program to a 401(k) type retirement plan. The press conference was organized by Progress Iowa. 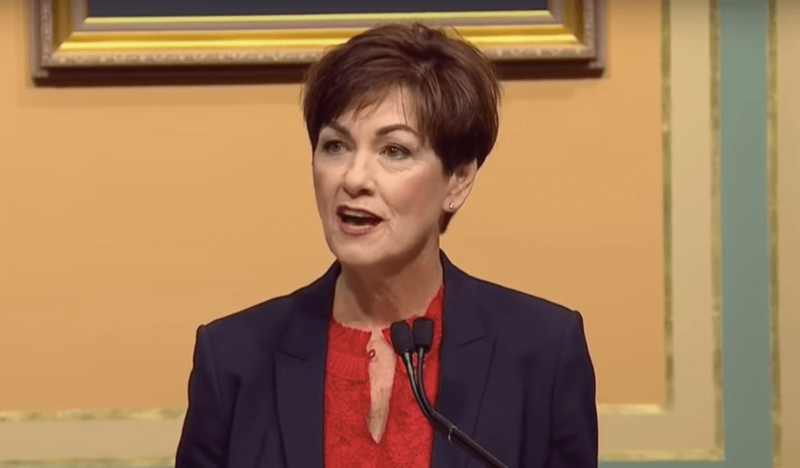 They have many reasons to be concerned as both Governor Kim Reynolds and Republican House Speaker Linda Upmeyer have expressed contradictory positions on IPERS. During the recent campaign they both promised IPERS is safe in the current form. “As governor, I am reiterating that this promise will be kept. We will maintain and honor the commitments made to people in the IPERS system,” Reynolds declared in October 2018. 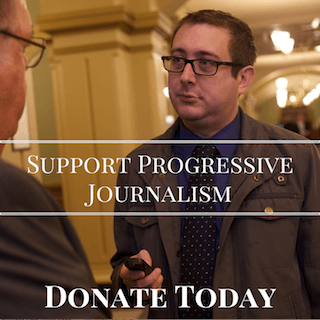 However, in July of 2017, Reynolds endorsed an IPERS study by the Reason Foundation, a right-wing think tank. The IPERS study was headed by West Des Moines Republican Senator Charles Schneider. The Reason Foundation has advocated for 401(k) type plans that would replace the IPERS model. “I support his (Schneider) efforts in doing that,” Reynolds said. Additionally, Reynolds said in 2017 that IPERS “wasn’t sustainable.” She also accepted a $50,000 campaign donation from a Missouri Republican who has historically fought public retirement plans like Iowa’s IPERS. So, which is it? Will Reynolds keep her latest promise or revert back to her original support for a change to IPERS? Perhaps more importantly in evaluating the Republican threat to IPERS is bill SF 45 introduced by Urbandale Senator Brad Zaun on the first day of the 2017 session. His bill failed to advance in the 2017/2018 session, but it seems likely he may be back for a second try this year or next. 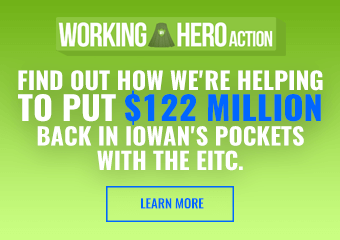 Iowa Senate Democrats published an analysis of the Zaun bill in October of 2018. Zaun’s bill would mandate employees newly hired on or after July 1, 2019, who would otherwise be members of the public safety peace officers’ retirement (PORS), accident/disability system, the Iowa public employees’ retirement system (IPERS), the statewide fire and police retirement system (411), or the judicial retirement system, SHALL NOT become members of their respective retirement systems. These are all state defined benefit pension plans. Instead, Senator Zaun’s bill directs each retirement system to develop an alternative defined contribution plan for employees newly hired on or after July 1, 2019. This would repeal the current pension systems in Iowa and replace them with a private market/401(k) type plan. There is every reason to believe Zaun hasn’t given up on privatizing IPERS, and every reason to be skeptical of any promises Republicans have made about protecting public employees retirement. Recall that Republicans’ claimed they were merely planning to “tweak” collective bargaining prior to gutting it. Looking to 2020 elections, both Schneider and Zaun will be up for reelection. Democrats must focus on defeating these two enemies of public employees. Which side of their mouths are State Republicans talking out of today? Don’t listen to what they say; watch what they DO. And what they’ve done so far has not been good for the state, nor has it been good for the state’s people. 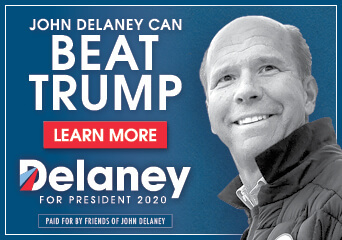 Remember this in 2020, and then vote as if it matters – because it does.